Today kicks off the 30<sup>th</sup> year of the North Logan Pumpkin Walk. This popular event, which is free to the public, requires endless hours of service from hundreds of people. Pumpkin Walk Public Relations Director Gina Worthen has made a scene for the Pumpkin Walk for the past 17 years, so she knows just how time consuming the event can be. “I like to say that for every pumpkin that you see, there’s probably a volunteer behind it,” she said. 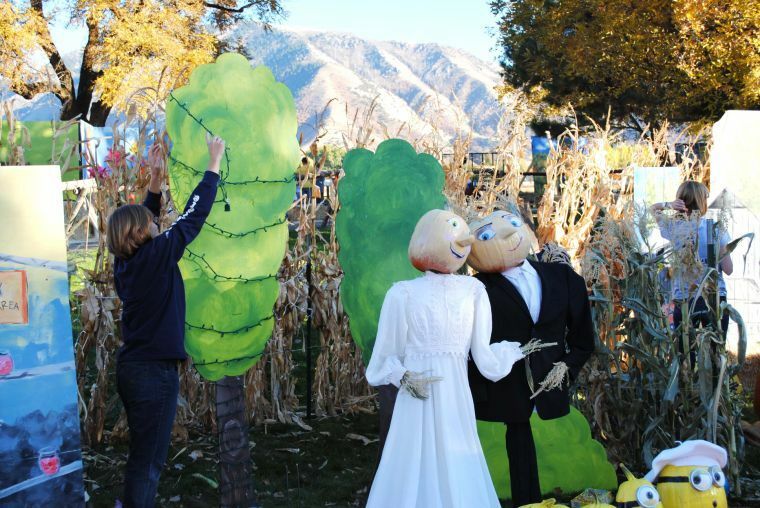 Worthen added that this year there are 50 scenes in the Pumpkin Walk, more than ever before. On top of that, volunteers carved pumpkins that line the walkway. Groups working on scenes spent several hours on Tuesday and Wednesday setting up for the 30<sup>th</sup> Annual Pumpkin Walk. In addition to the two days of setup, many scene-crafters plan their displays months in advance. For those on the Pumpkin Walk Committee, they spend the entire year planning and prepping for the event. “We meet right after Pumpkin Walk and decide what we need to do, what changes need to be made, how things went, and we start planning for the next year,” said Worthen. Worthen and others on the committee donate all of this time to make the Pumpkin Walk possible. While it’s a lot of work, Worthen said it’s worth it. 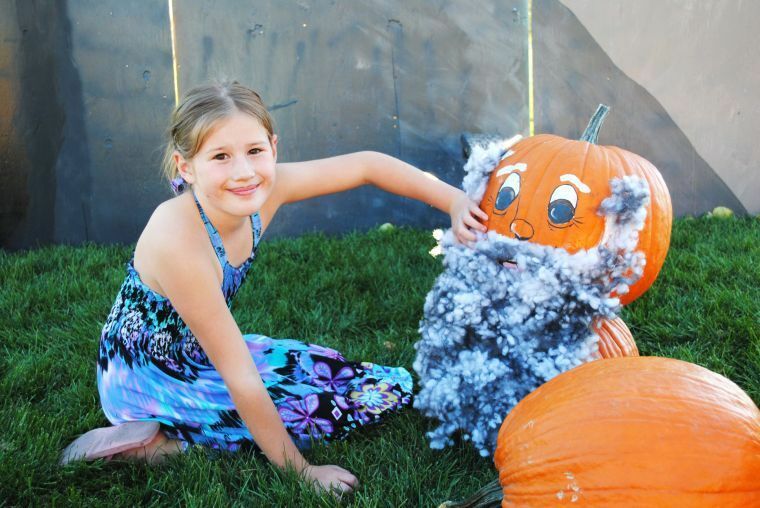 The Pumpkin Walk is located at Elk Ridge Park and runs this Thursday-Saturday and will also run next Monday and Tuesday. It’s open from 9 am to 10 pm. Worthen said a shuttle will pick people up from Greenville Elementary and transport them to the park. 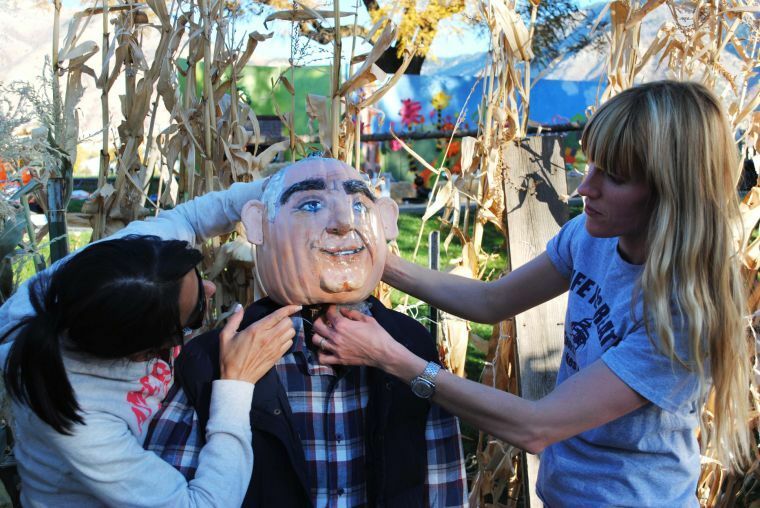 In addition to the Pumpkin Walk, there is also a free puppet show that will run every 20 minutes from 6 pm to 9 pm and on Saturday from 12 pm until 3 pm. This year’s Pumpkin Walk theme is “A Walk to Remember” to celebrate the past 30 years of Pumpkin Walk.